Karthi is on a winning spree these days. 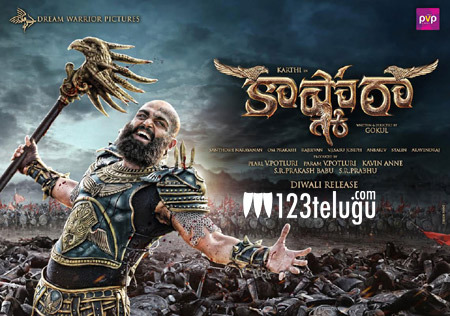 After the super success of Oopiri, his new film Kashmora has also been declared a huge hit. The horror comedy is doing supremely well in both the multiplexes and single screens. Karthi’s star power is the major reason for this success. The talented hero carries a huge following in both the Telugu states and this has indirectly shown on the collections. Directed by Gokul, Kashmora has some superb production values and Karthi in two different looks.